Filmed entirely in North America by filmmaker and avid birder Kathleen Cameron, this film documents the beauty of owls in their natural habitats. Owls are fascinating birds that have many physical attributes that set them apart from other raptors. Many of these attributes have led to beliefs about owls that are false. The realities about what owls can and cannot do are addressed in this film. The truth about how owls do what they do is in fact amazing! 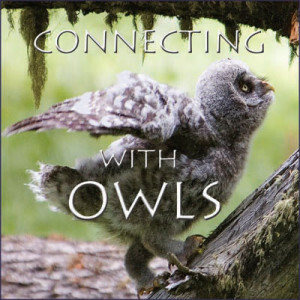 Owl species featured in this film are: Barn, Long-eared, Short-eared, Great Horned, Great Gray, Boreal, Northern Saw-whet, Burrowing, Flammulated, Western Screech, Northern Pygmy, and Northern Hawk Owl, with cameo appearances by: Snowy and Barred Owl. Viewers of all ages and levels of interest in bird watching will enjoy this film and will be energized to learn more about owls and to utilize the clues provided to find and observe them. The DVD length is 34:11 minutes. Formatted for standard computer or television screens. Price is $26.00 USD and includes shipping via United States Postal Service and sales tax. Kathleen–Are you coming to The Biggest Week in American Birding at Magee Marsh this year? If so, I hope you’re bringing some of your Owl dvds. If so, I’ll buy one from you then. If not, let me know and I’ll order one from your web site. Thanks. I’ve enjoyed your web site; it’s obvious you’ve spent a lot of time on it. I’ve looked over your itinerary for the Peru trip… Sounds interesting and species rich! Hope this finds you well. I would love to see this film. A month before my best friend of over 45 died I started to be inexplicably attracted to owls. Now I know it was her spirit connecting me with her wisdom as a parting gift. Is there somewhere I might this can watch this online as I live on a fixed income w/little to spare? May be you could upload it to Amazon & people could watch for $3.99 a fee even I could afford.